Within the last 20 years a number of well-equipped universities have been founded in different Chinese cities. At the same time, they are research centers for the most promising disciplines of modern science. The universities are built on the base of the global government program, which has the following slogan: “patriotism, innovations, inclusive development”. Chinese universities can invite the best specialists from different countries and are open to collaboration with Russia. Architecture of Chinese university campuses is mostly international, but their layouts often refer to ancient principles of Feng Shui. The amenities usually have strong national features. BAGINA, Elena. About Chinese Universities, Patriotism, Traditions and Inclusive Development: Interview with Sergey Kruglikov, assistant professor of Ural Federal University, Ph.D. in Physics and Mathematics. 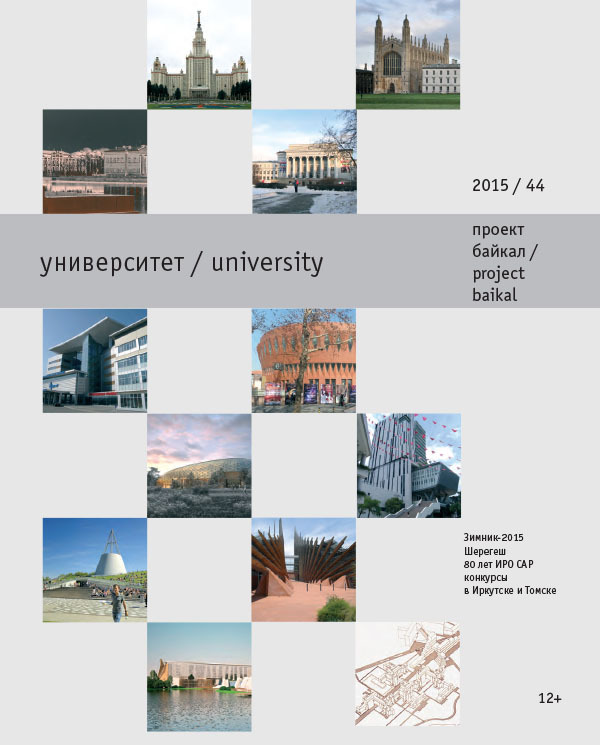 project baikal, Russian Federation, n. 44, p. 160-163, may 2015. ISSN 2309-3072. Available at: <http://www.projectbaikal.com/index.php/pb/article/view/855>. Date accessed: 22 apr. 2019. doi: https://doi.org/10.7480/projectbaikal.44.855.